The Junior League of Sioux City is donating $80,000 to the creation of the new Children’s Hands On! Gallery at the Sioux City Art Center. This donation will fund participatory stations, their fabrication and installation, carpeting and designer fees. The new Hands On! Gallery will replace the existing hands on area and will be relocated. The original Hands On! Gallery, also a project of the Junior League of Sioux City, opened in 1997. Free and open to the public six days a week, the space enabled Siouxland’s children to experience elements of art through creative hands on activity centers. Since its opening the Hands On! Gallery has been visited by 100,000+ children of all ages, economic backgrounds and ethnicity. After more than twenty years of operation, the Sioux City Art Center recognized the need for a major renovation of the gallery. A new space of 1,700 square feet was identified. The Junior League of Sioux City stepped forward and pledged the money and volunteers to make this project possible. Like the previous gallery, the new space will enhance children’s, as well as teenagers’ and adults’ appreciation and understanding of the art in the Art Center. Visitors will explore texture, color and shape at the Noodle Doodle Station, the Everbrite Activity, the Lighten Up! Table, and the Magnet Planet. They can create sculpture at the Block Dock and the Stack Attack stations. The emotional aspect of art can be explored at the What a Yarn exhibit. Construction of the space begins in April. Heartland Scenic Studio has been retained for the design and fabrication of the gallery and the stations. Heartland is in its 25th year of operation providing design and fabrication of permanent and touring museum exhibits nationwide. Locally, Heartland was involved with the creation of LaunchPad, Sioux City’s Children Museum. The new gallery is expected to be completed mid-summer, 2019. Additional funding opportunities for hands on activity stations are available to businesses or individuals who are interested in further enhancing the new participatory gallery. Interested parties may contact Rhonda Henry, Committee Chair, (712) 898-5909 or Al Harris-Fernandez, Director, Sioux City Art Center, at (712) 279-6272. 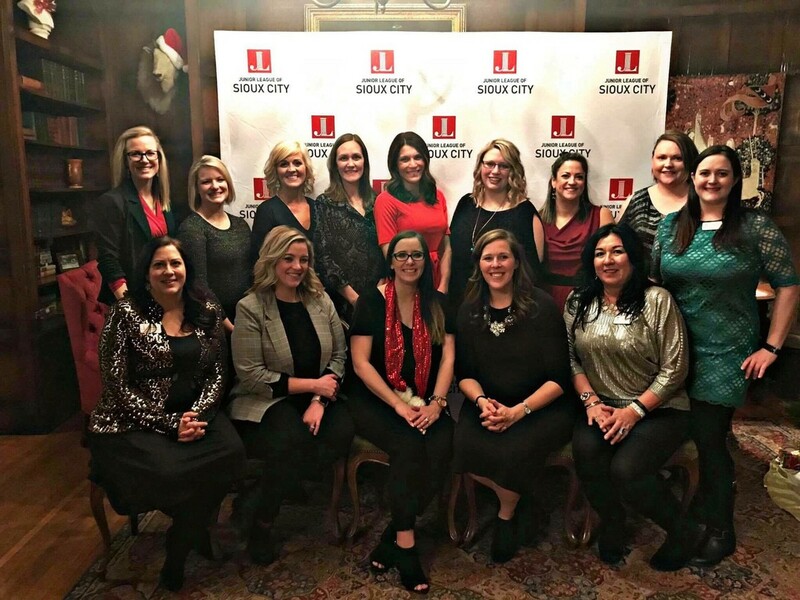 The Junior League of Sioux City announced its newest active members at their General membership meeting on December 13. The holiday meeting was held at the Peirce Mansion in Sioux City. During the 2017-2018, Junior League year the JLSC worked on three projects one of which was working to get a new bus shelter in Sioux City. JLSC members worked with the city to secure the location, design and order the structure. The new bus shelter is located at the Southern Hills Malls. The Junior Leage of Sioux City will host its 5th Annual Junior Leage Fore! Women Best Ball Tournament on Friday, August 17, 2018 at Green Valley Golf Club in Sioux City. Tournament registration and light appetizers will begin at 4 p.m. with a shotgun start at 5 p.m. There will be a dinner, social, prizes and silent auction following the tournament. Teams of four or individuals are welcome. The cost is $75 per person. Optional dinner is open to all, $10 presale and $15 at the door per person. The JLSC holds an annual golf tournmanet each year to support the Siouxland community through funding, volunteer hours, and education. Money raised through the tournament provides the necessary funding to help support nonprofit organizations in our community. For more information or to register visit juniorleagueofsiouxcity.com, email forewomenbestball@juniorleagueofsiouxcity.com or call 712-898-5909. Junior League of Sioux City provides training twice per year to Provisional members who wish to join Junior League of Sioux City. Once those members complete the training, managed by JLSC Membership Council, they are nominated to become active members. The training can include: attending League sponsored events, participating in new member meetings, learning the History of Junior League, and volunteering in the community alongside Active and Sustaining members, they are nominated to become active members. The Junior League of Sioux City (JLSC) has announced its membership awards for the 2017-2018 year. The purpose of the awards is to recognize and celebrate outstanding Junior League members for their contributions over the last year of service. Nominations for these awards are accepted from the entire membership of the Junior League of Sioux City. The “Siouxland Leader” award was presented to Amy Lechtenberg. Given annually, this award recognizes outstanding leadership in both Junior League of Sioux City and the Siouxland Community. The “Spirit of Junior League” award is given to an active or provisional member of Junior League who by her enthusiasm and commitment embodies the spirit of Junior League volunteerism. 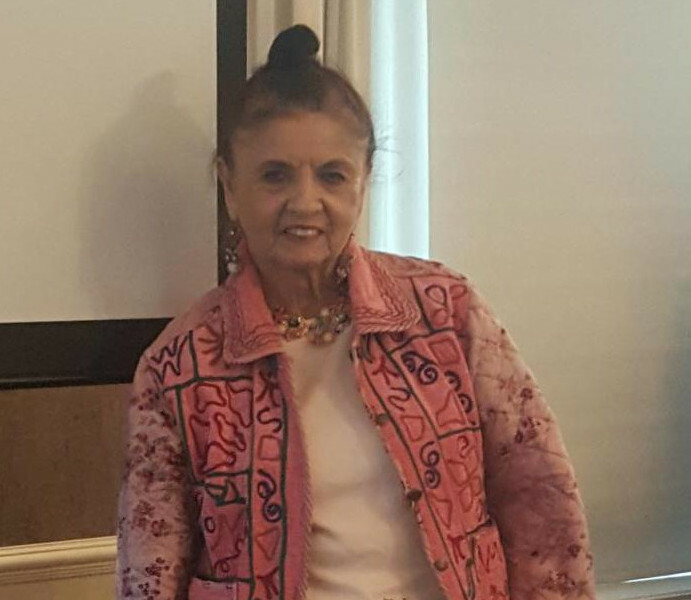 Kay Oskvig was awarded this year’s “Spirit of Junior League” award. The “Volunteer of the Year” award is given to an active Junior League member who best embodies the Junior League mission of developing the potential of women through the effective action and leadership of trained volunteers and who has made a lasting difference in Junior League by her actions. This year’s “Volunteer of the Year” award was presented to Sharon Collins. 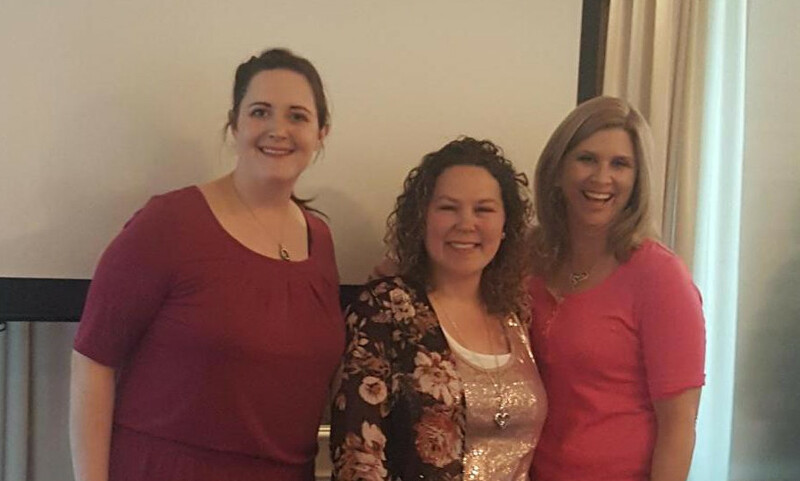 The following members have been a part of the Junior League of Sioux City for the past 5 years: Alison Uhl, Tykeesha Beauchene, & Lisa Wagner. 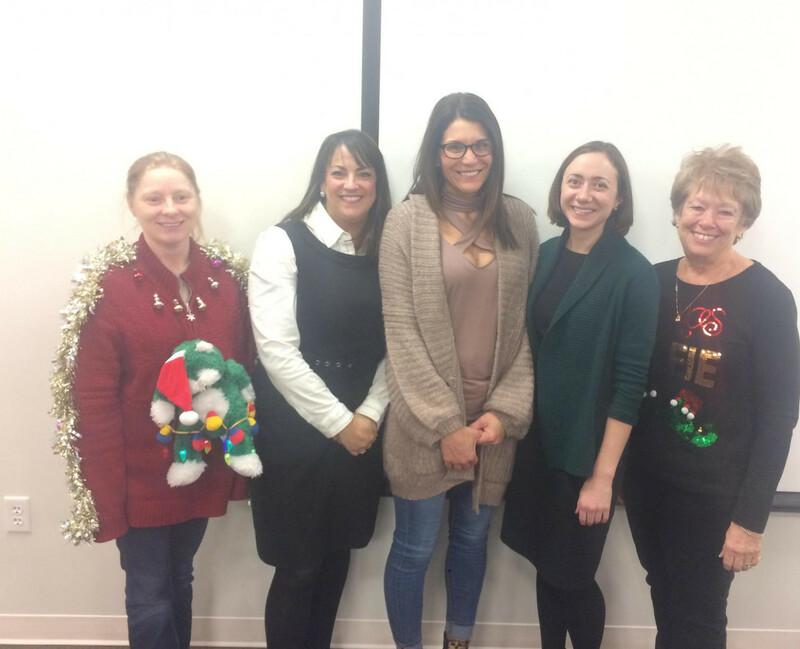 We would also like to recognize the following ladies: Maureen McKenna and Rachel Zeleny (not pictured) for 10 years of service, and Sandy Nation (not pictured) for 15 years of service! 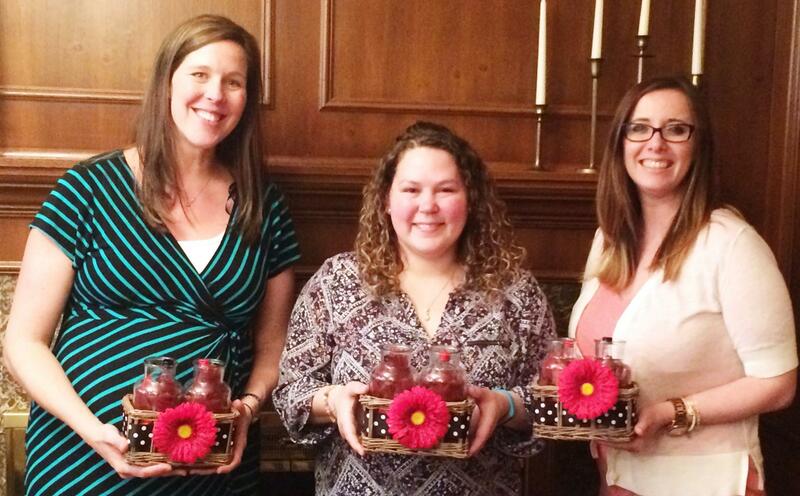 Thank you for your dedication to Junior League and Siouxland community. $25,000 towards a brand new outdoor sensory garden. JLSC members will help plan, design and build an outdoor “hands on” therapy/sensory garden area. $3,300 for expansion of its existing school garden to include more raised beds, as well as, create handicapped accessible raised beds. In partner with the Nebraska Coalition on Human Trafficking, $2,946 will be used to train JLSC members, and in turn, JLSC members will train and work with Siouxland area Hotel/Motel staff on what things to look for in the hospitality industry to help stop the cycle of human trafficking. JLSC members will be front and center in raising awareness for this AJLI nationwide platform. An additional $40,000 was given to the Sioux City Art Center as a part of a two-year project with the Art Center to renovate and relocated the current JLSC Hands on Gallery. A total of $80,000 was donate over two years. The Junior League of Sioux City is excited to announce the following recipients of the 2018 Mildred Anderson grants. The Mildred Anderson grant program started after Mildred gifted $100,000 to the Junior League of Sioux City in appreciation of its many contributions to various civic and charitable projects in Siouxland. Applications for the grants are due each year on January 15th. More information can be found at www.siouxlandcommunityfoundation.org. Kay is a transactional attorney with the Crary Huff Law Firm. She grew up in Okoboji and is a fair-weather runner. Kay will be assisting on the Ronald McDonald House Project this year and was also selected as a member of the 2018-19 Board. Latrecia has lived in Sioux City her entire life. She likes shopping, reading, hiking, and looking forward to new opportunities and paths that are coming her way. She is now a member of the Discovery Shop Committee. Megen will be serving on the Membership Council, Social committee this year.She has 3 boys, is a sports mom, love to travel, and enjoys exercising. In my free time, she is a CASA and love helping the children she is involved with through that volunteer program. She joined Junior League because she loves our community involvement and she looks forward to all the volunteer opportunities we provide. Sharese is a local attorney with the Public Defender's Office. Sharese will be serving on the Finance Council, Discovery Shop committee. She enjoys working at the shop and also attended our backpack and Thanksgiving DIAD. Jackie will be working with the Art Center Hands-On Gallery committee the remainder of the year. She loves to help others and does a lot of volunteering. When not busy with that, she likes to travel and do crafts. On December 12, 2017 members assisted the Perry Creek PTA with the stuffing of backpacks to provide students meals and snacks for weekends. Since the program started they have seen improved attendance and academic performace. The program is funded through grants and fundraising and the backpacks are stuffed by volunteers. Junior League members made quick work of the bag packing due to the great turnout of volunteers. The Junior League of Sioux City is now accepting Community Project Applications for the 2018-2019 Junior League year. Click HERE to find out more about the application process. 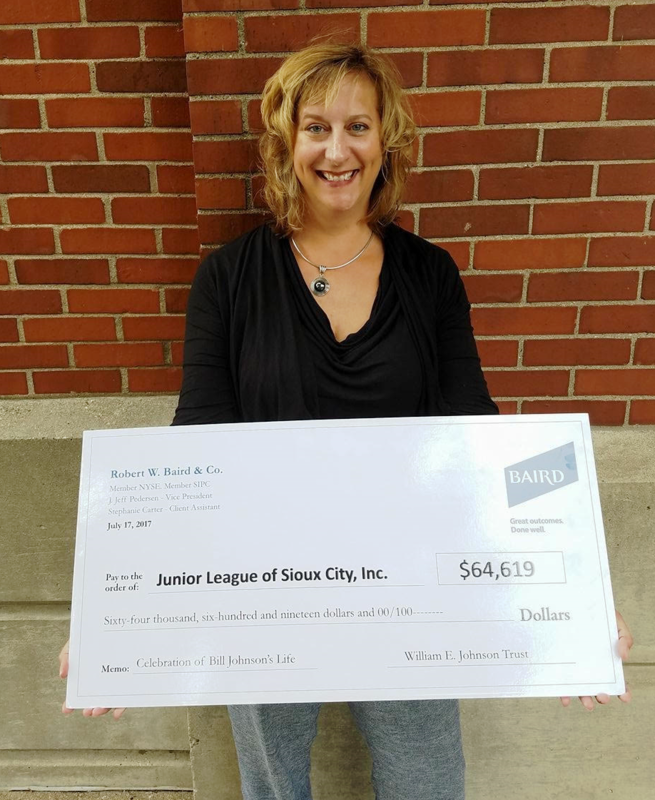 The Junior League of Sioux City was honored to receive an award of over $64,000 from the William E. Johnson Trust in July. The William E. Johnson Trust donated over $2.1 million to 29 charities in the Siouxland area to be used primarily for the treatment, care or needs of Siouxland children. An article about the William E. Johnson Trust can be found on the Sioux City Journal Website. The Junior League of Sioux City (JLSC) has announced its membership awards for the 2016-2017 year. The purpose of the awards is to recognize and celebrate outstanding Junior League members for their contributions over the last year of service. Nominations for these awards are accepted from the entire membership of the Junior League of Sioux City. The “Siouxland Leader” award was presented to Katie Kruse. Given annually, this award recognizes outstanding leadership in both Junior League of Sioux City and the Siouxland Community. Katie was chosen for this award because of her demonstration of leadership this year. She is very active in Junior League, putting in a lot of time and effort into project development and reaching out to the community to research the needs of various organizations. Her work with other non-profits in the Siouxland area shows that she embodies the values of League and the true spirit of a philanthropist. The “Spirit of Junior League” award is given to an active or provisional member of Junior League who by her enthusiasm and commitment embodies the spirit of Junior League volunteerism. Keesha Beauchene was awarded this year’s “Spirit of Junior League” award. Not only is her passion for the community evident, her positivity and enthusiasm for all things Junior League is contagious and reflects in all that she does as a friend, committee member and team player. The “Volunteer of the Year” award is given to an active Junior League member who best embodies the Junior League mission of developing the potential of women through the effective action and leadership of trained volunteers and who has made a lasting difference in Junior League by her actions. This year’s “Volunteer of the Year” award was presented to Gretchen Cooper. Gretchen was presented with this award for her commiment to becoming a strong leader in Junior League and for her eagerness to step up whenever help is needed. Not only has she stepped up into a leadership position next year, she is dedicated to engaging our members in a meaningful experience with Junior League. 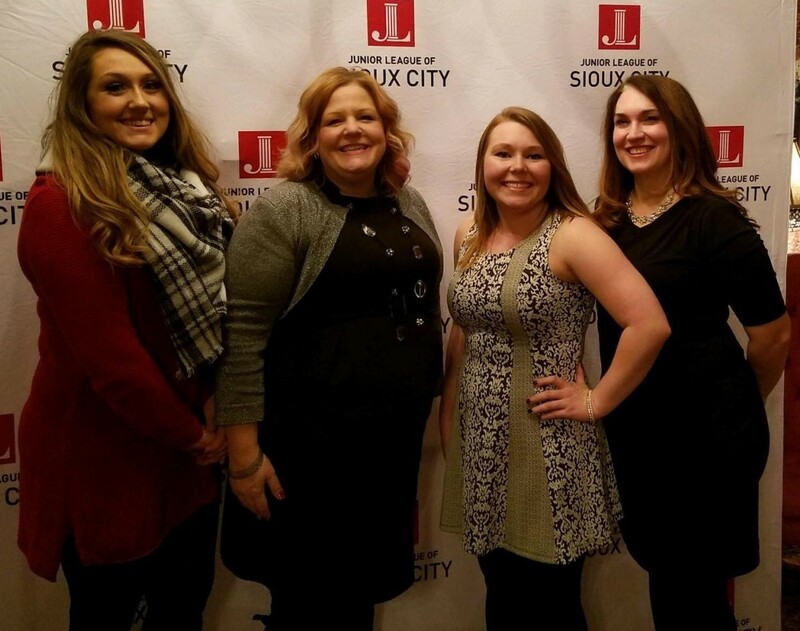 The Junior League of Sioux City is an organization of women committed to promoting voluntarism, developing the potential of women and improving the community through effective action and leadership of trained volunteers. Its purpose is exclusively educational and charitable. The Junior League of Sioux City reaches out to women of all races, religions, and national origins who demonstrate an interest in and commitment to voluntarism. The organization is a member of the Association of Junior Leagues International, which in its 115th year is comprised of over 292 Leagues and 150,000 members. The Junior League of Sioux City is in its 95th year of serving Siouxland. For additional information on the Junior League of Sioux City or to request information on membership call 712-255-0072 or visit our website at www.juniorleagueofsiouxcity.com.